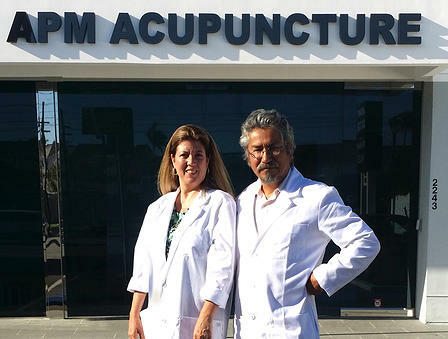 Originally specializing in the management of pain, Acupuncture Pain Management has expanded its services to include many other conditions, including but not limited to: Infertility; Insomnia; and Successful aging. Over the years we have helped hundreds of patients improve their health through the benefits of Acupuncture and Oriental Medicine. Both educated in California and fully licensed by the State, we have years of extensive experience in treating a variety of conditions. We pride ourselves in devoting special attention to the needs of each and every one of our patients and use our expertise to create treatment plans tailored to each individual. We offer private treatment rooms with a soothing atmosphere to stimulate relaxation and ensure our patients’ privacy. Our needles, made of quality stainless steel and specifically designed to make insertion gentle and smooth, are 100% disposable. We look forward to assisting you on your journey to better health!